Can you talk a bit about what drew you to this project? Aline Brosh McKenna: Well, I loved the book. I loved the story. In fact, just the cover right away I was very drawn to, because I loved that the whole movie is sort of in the title. It’s “We.” It’s a family. 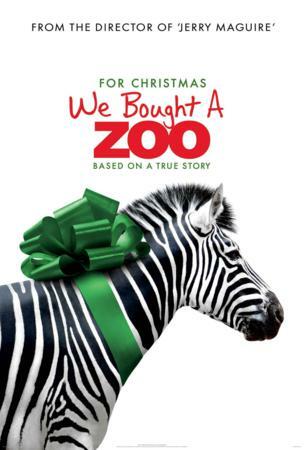 “We bought” which is not something you associate with a zoo. “We bought” it and it’s a zoo, which is a really interesting world and workplace, I thought. So, I loved it right away. Then, I read the book and there is a page where Ben [Author Benjamin Mee], who wrote the book, actually describes all of the things that he misses about his wife and all of the things that remind him of her. And it’s so specific and it’s so detailed. Blogger: So, did Ben [Author Benjamin Mee] really fall for the zookeeper, or was that added? Aline Brosh McKenna: No. There are many people who work at the zoo who are very devoted to it and that he’s become very close to. But, not that I know of. I don’t think there’s any romance like that. Blogger: How did Ben feel about you adding that? Aline Brosh McKenna: I know they [Matt Damon and Scarlett Johansson] kiss at the end, but to me, it sort of is emblematic of how close he’s gotten to everyone and how much they’ve become part of a family. I was just noticing, after he kisses her, he has this look on his face like, “Okay, maybe someday.” He’s not ready and that’s why he says that about New Years. And so, it’s not primarily about finding that kind of love. It’s about finding all other kinds of love. I’m always struck by that, there’s so much love in that movie. There is so much love that the characters have for each other and that he had for them as a filmmaker, and that we all had for Ben and his family. Blogger: I didn’t read the book, but my husband did and he said the wife [of Author Benjamin Mee] was still alive when they bought the zoo. Aline Brosh McKenna: She was, yes. That was obviously an early, big decision. In real life, they bought the zoo and she had a relapse and she passed away three months after they bought the zoo. And obviously that’s different. But, I felt that for the purposes of a book, you can sort of take it in. For the purposes of a movie, you might be so devastated to experience that. And I felt like the loss is so devastating, in the beginning of the movie you really do get the sense of how much loss they have to recover from. So, it’s almost like we picked it up six months into owning the zoo. We just backed up the timeline a little bit. Blogger: I read that you wrote the part of Benjamin Mee based on Matt Damon, not knowing he was going to play the part. Ms. Aline Brosh McKenna: I almost never do that. I can’t think of another time when I’ve done that. But, I was writing it and there was just this moment or two of the early drafts where I just thought, “That’s who I have in my mind,” because he’s very funny. He has a twinkle in his eye. And the material is already very dramatic and I thought, that sense that he has a lot of dignity and intelligence and warmth and all these things that I felt like were really important to the character. It wasn’t really a conscious thing. It sort of flowed into my brain and then it became as I was writing, it became Matt Damon. And it never happens, ever happens that anyone that would drift into your brain would be in the movie. In addition to the book, there’s a wonderful BBC miniseries about the zoo that Cameron and I both loved and watched that is really the sort of the nitty-gritty of the day-to-day of the life and how hard they worked. They worked really hard. 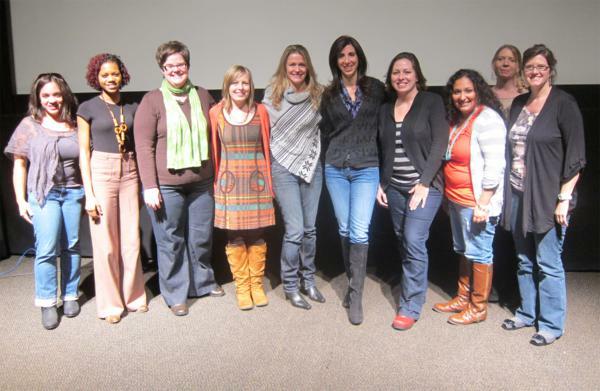 Blogger: What are some of the challenges that you can do in a book that you can’t express on film? Ms. Aline Brosh McKenna: It’s usually about taking out subplots. You just don’t have a lot of room for stuff. Its like taking a bone out of a fish. You have to sort of take the most important things. There’s always little details and moments that don’t end up in there. But, that happens in every movie. The transition between when you make the movie and the finished product, there’s always things that you kind of miss. There are so many things with the different animals. There are so many adventures that Ben has with the different animals, and a lot of them are in the documentary. They just don’t all fit in the movie, so just the spirit of it. Blogger: What are you working on now? Ms. Aline Brosh McKenna: I’m working on a couple things. I’m writing a new version of Cinderella for Disney, which is exciting. And I’m doing another movie for this studio, for Fox, which is an adaptation of a graphic novel, which I love. Ms. Aline Brosh McKenna: It’s called Rust. It just came out, actually, and it’s beautiful. And I’ve got a couple other things that I’m working on. Blogger: What is your typical day like? Do you take the kids to school? Ms. Aline Brosh McKenna: I wonder if it’s any different from you guys. I take people to school and then I sit somewhere. And then, I’m like, “Ah, I don’t really have time to go to lunch.” Our babysitter picks the kids up from school, and then I come home at 5:30 or so. Blogger: How long did it take you to write the screenplay? Ms. Aline Brosh McKenna: It was a period of time. I got the book and then I wrote a couple of drafts. But, not that long. It sort of knew what it wanted to be. It kind of knew what it wanted to be. And it kind of knew what it wanted to be about also. Julie [Yorn] the producer, has children who are around the same age. And so, it always kind of knew what it wanted to be about. And then, of course, it changes and it shifts. But, they all take different lengths of time. There’s no one standard. Blogger: When you’re writing, do you make yourself cry? And I’m looking at him and his eyes are starting to well up. And I was like, “This is exactly what I didn’t want to do.” I was trying to be so cool here and I just had this moment with him. I think I could definitely say Cameron [Crowe] feels this way, too, just so grateful to him in so many ways for sharing this with everyone. And then, of course, he wrote something like, “I can’t thank you enough,” because he’s a lovely person. And he’s British and has good manners. We Bought A Zoo is coming to theatres on December 23rd. For more information on the movie, go to www.weboughtazoo.com.